UU A Way Of Life: Are you aware of the characteristics of awakened people who are sanctifying the world? 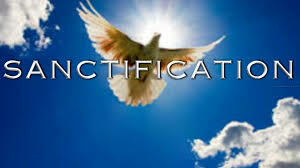 Are you aware of the characteristics of awakened people who are sanctifying the world? In the area of behavior, people who are awakened behave with altruism, compassion, and engagement. While they desire to be of service, this service is not to accomplish anything, it is not instrumental but rather it is a way of being in the world with others. Awakened people are human beings not human doers. They behave in loving ways out of faith not with the intention of creating success. Awakened people do what they can and let any attachment to results go. Awakened people are not attached to any particular results and are not materialistic in the physical world, the psychological, social or spiritual worlds. They have surrendered their sense of control to a Higher Power and they, themselves, have no attachment or investment or control in any particular thing, relationship, or outcome. This surrender of control allows the person to live with more autonomy and authenticity. The relationships of awakened people are more real, that is, they are more grounded in honesty and genuineness. The pretense and desire to manipulate to get one's own needs met are gone. Awakened people interact with others with no agenda other than to be present and to engage in a space of love and awareness. People who are awakened behave in ways that exude a sense of peace and harmony. A light seems to emanate from their being. There is an overall sense of well being and wholeness, also called "holiness" which provides a soothing sense of betterment in its wake. Unitarian Univeralists, and all awakened people, are not always recognized by others and sometimes even seem threatening to them. Jesus was killed as was Gandhi. Buddha died in his bed. The characteristics of awakened people at the perceptual, emotional, cognitive, and behavioral level can be subtle and yet they are also distinct for the person sensitive to the signs. At UUAWOL ministries we are alert to the characteristics of people who have awakened and look forward to benefiting from their level of consciousness as it sanctifies the world.